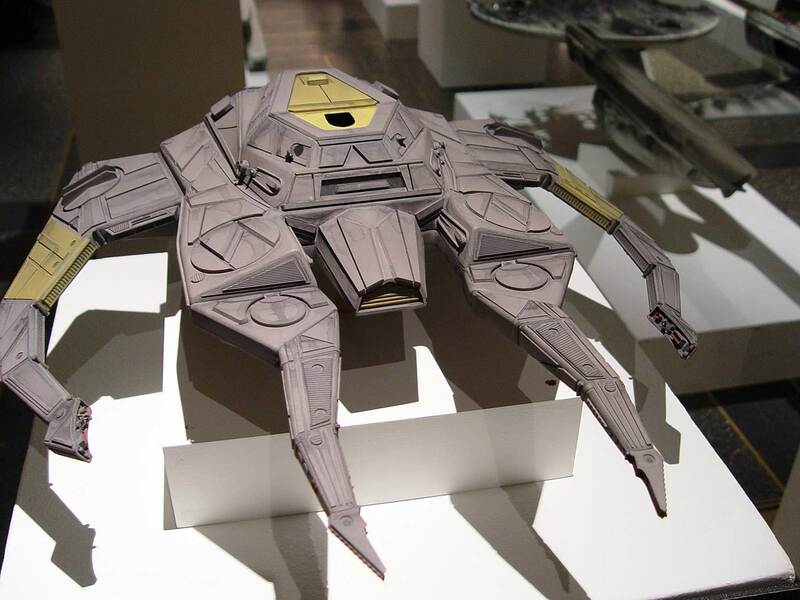 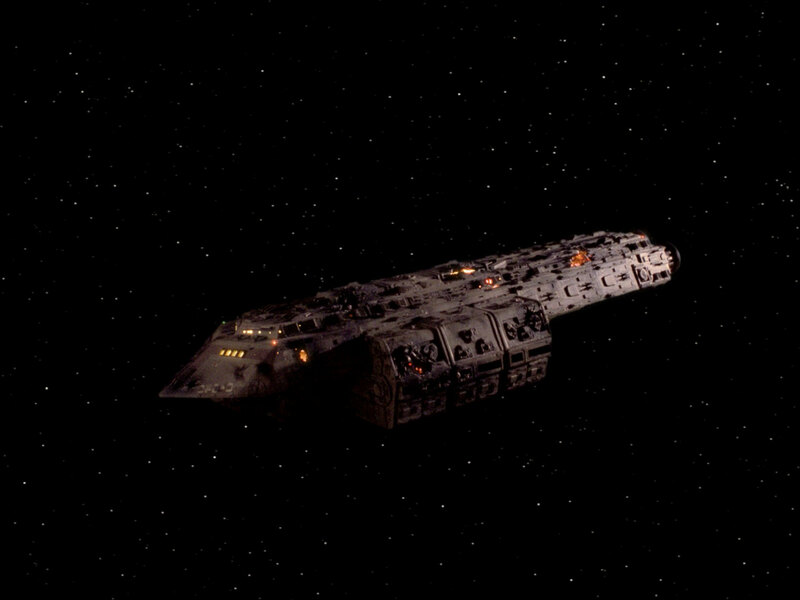 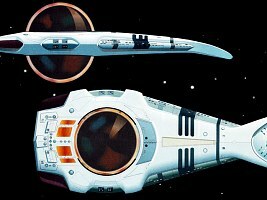 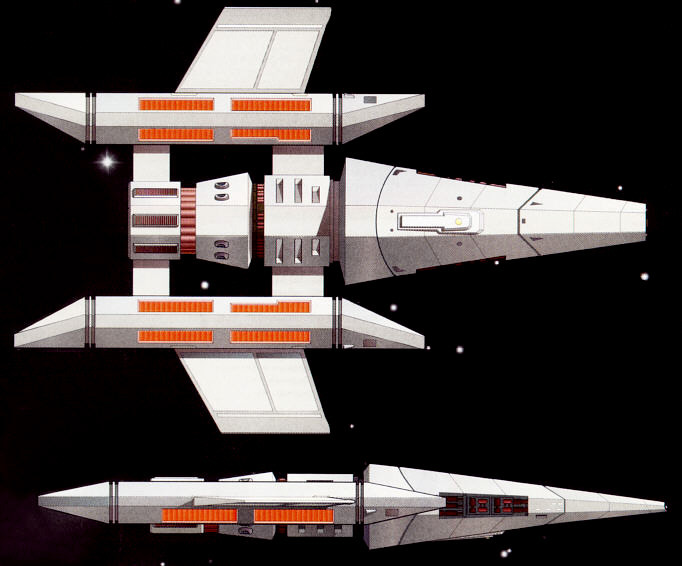 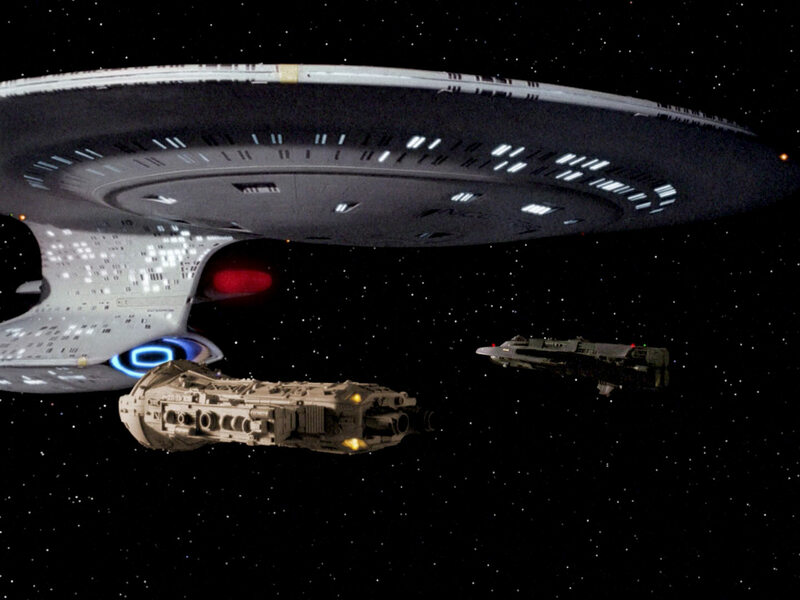 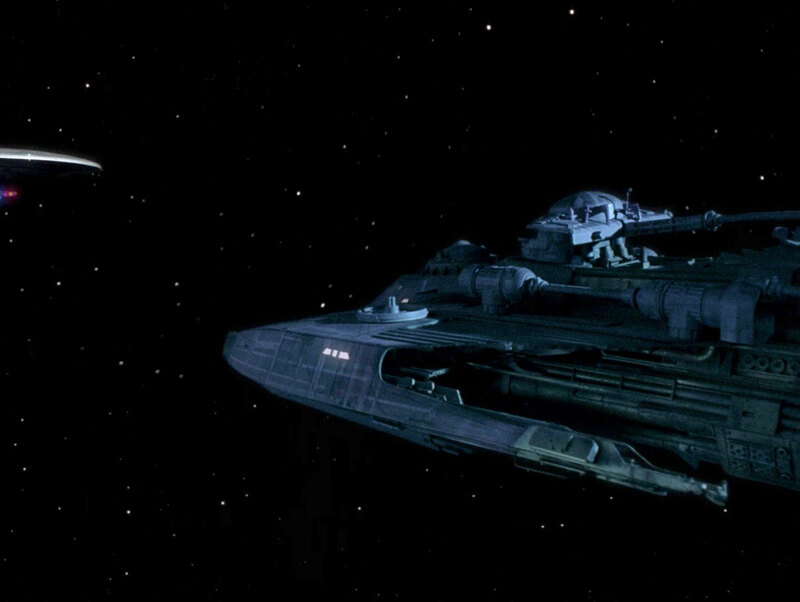 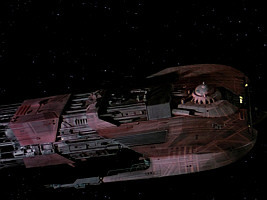 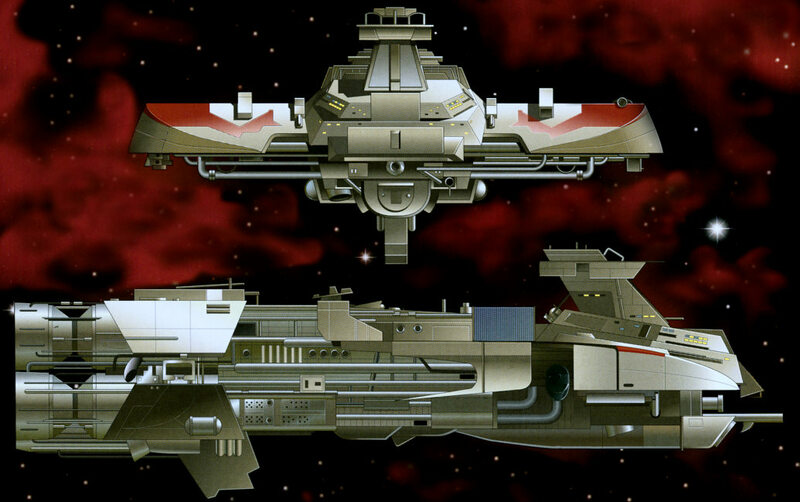 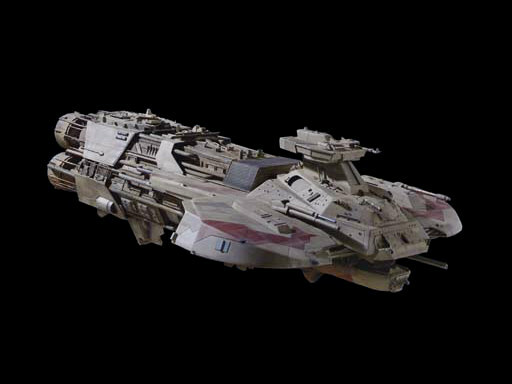 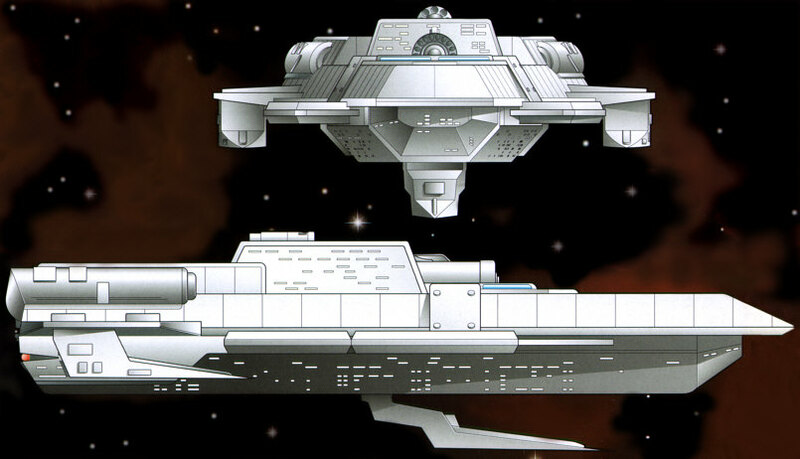 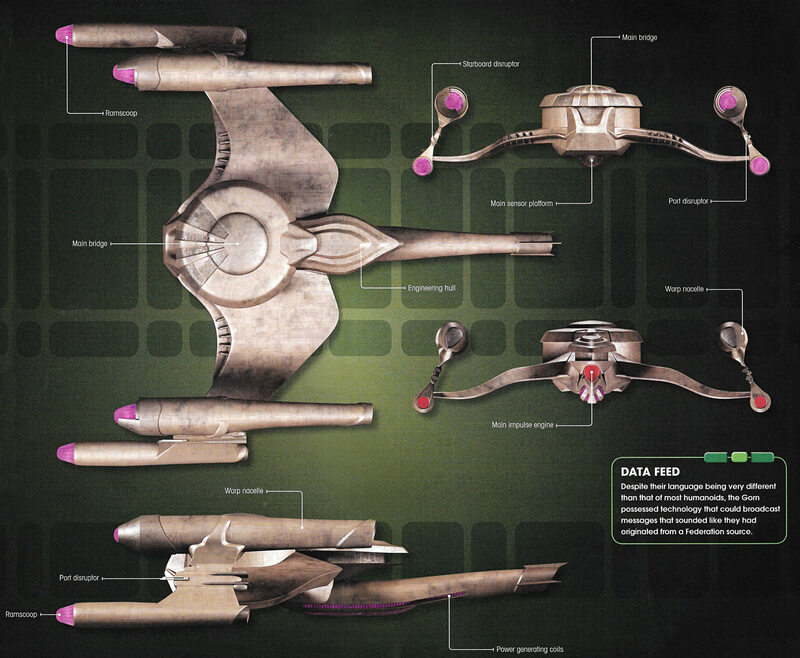 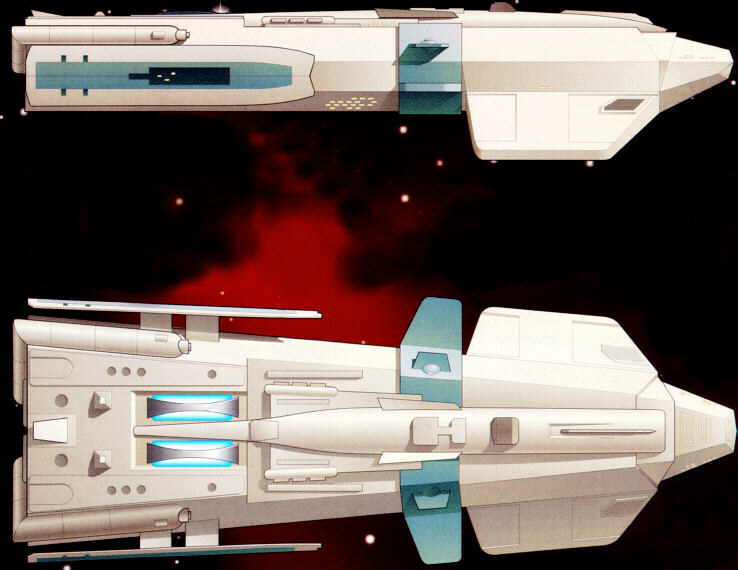 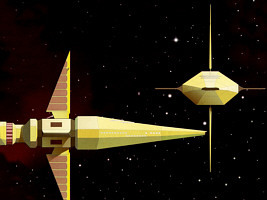 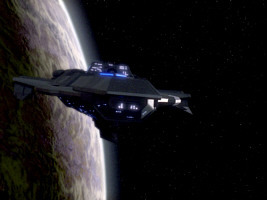 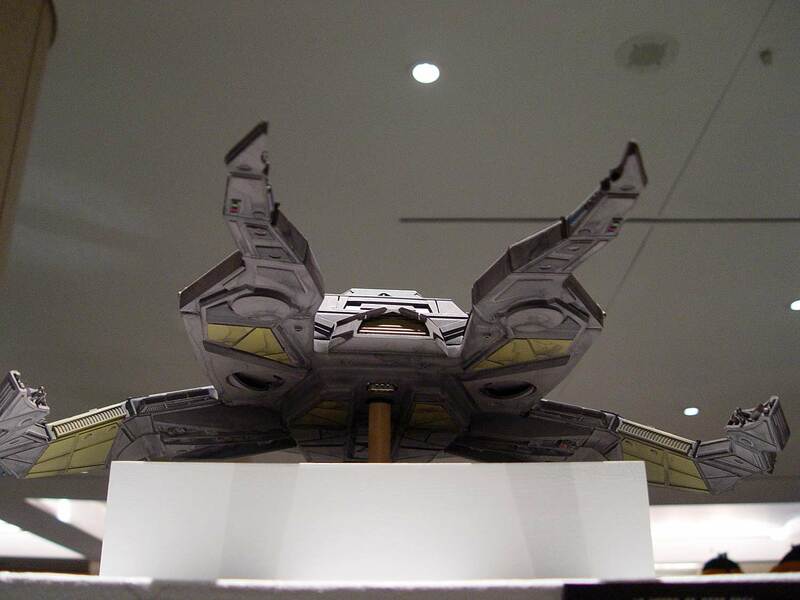 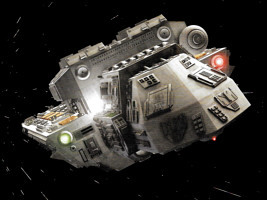 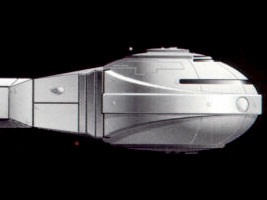 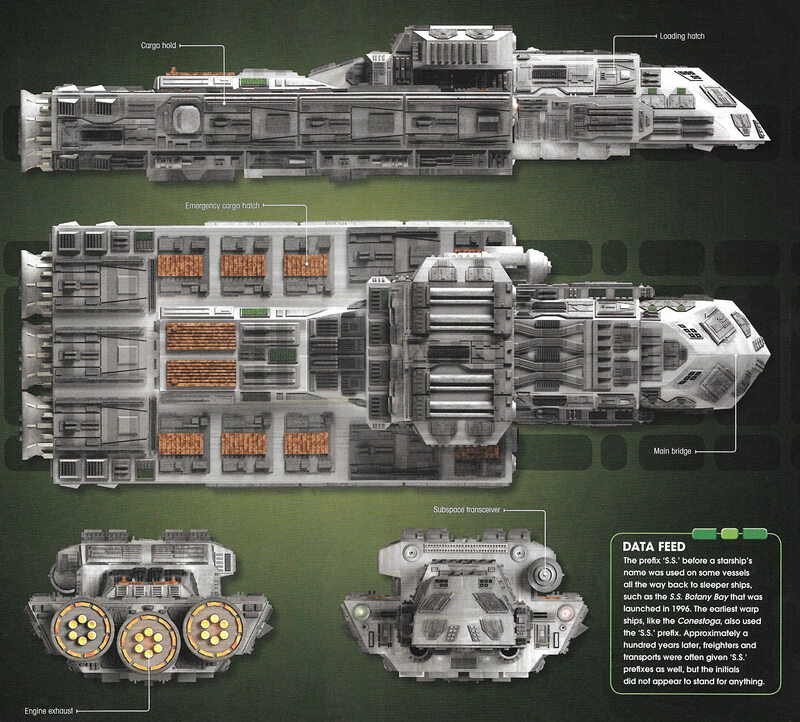 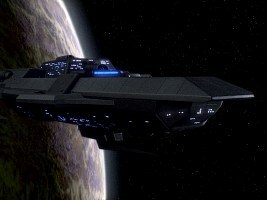 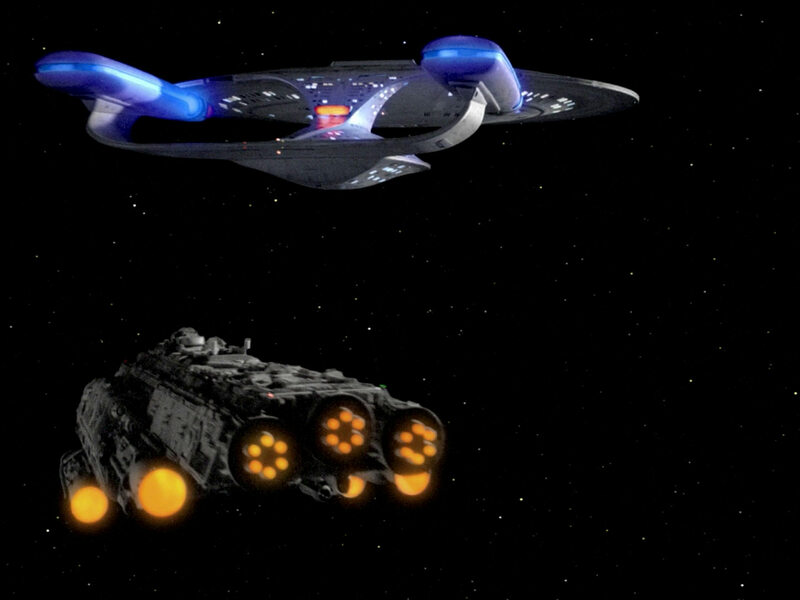 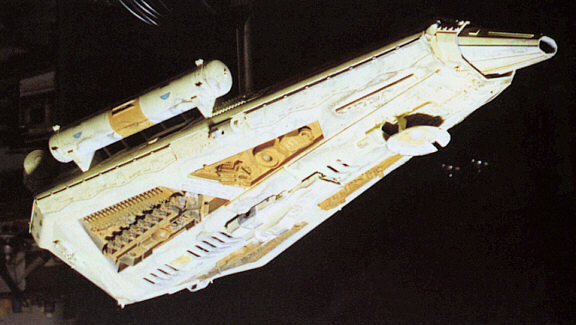 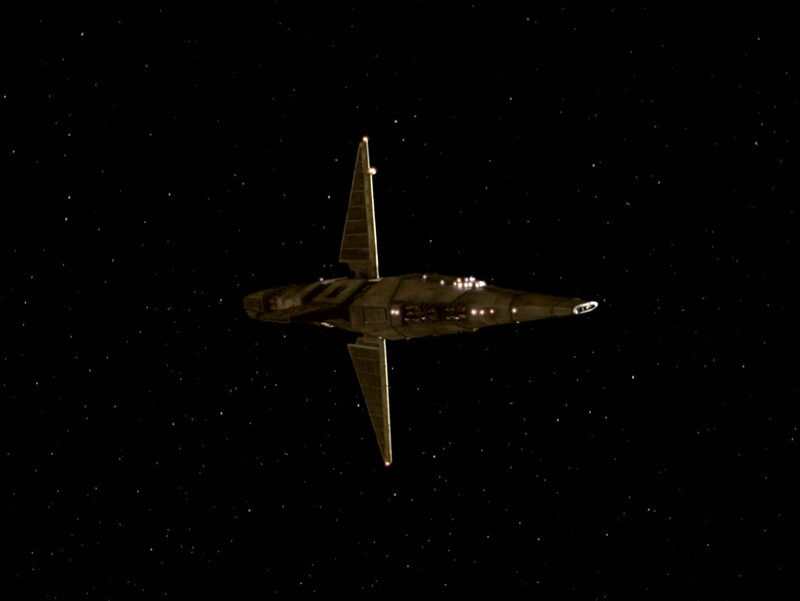 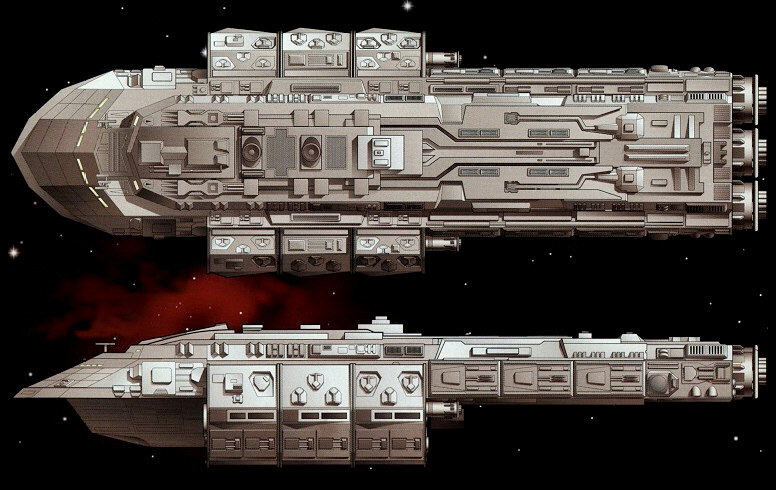 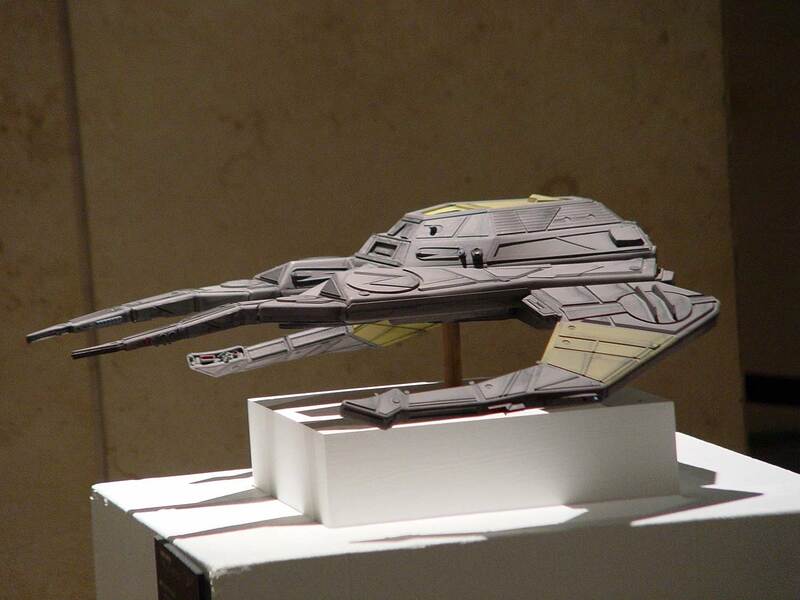 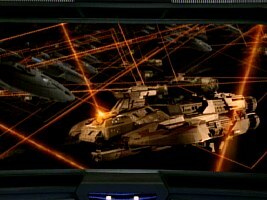 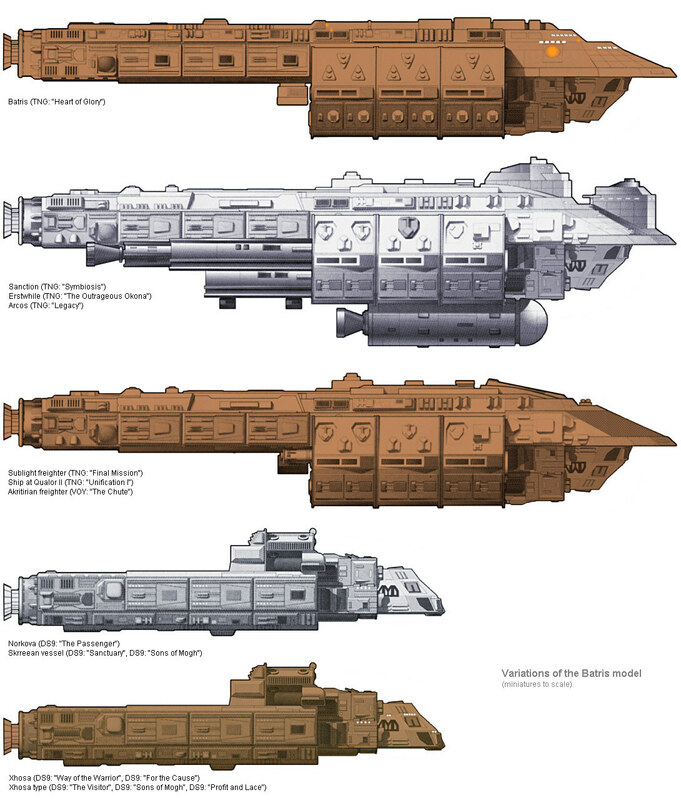 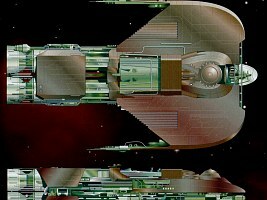 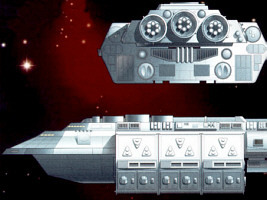 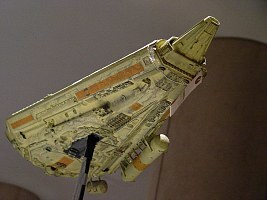 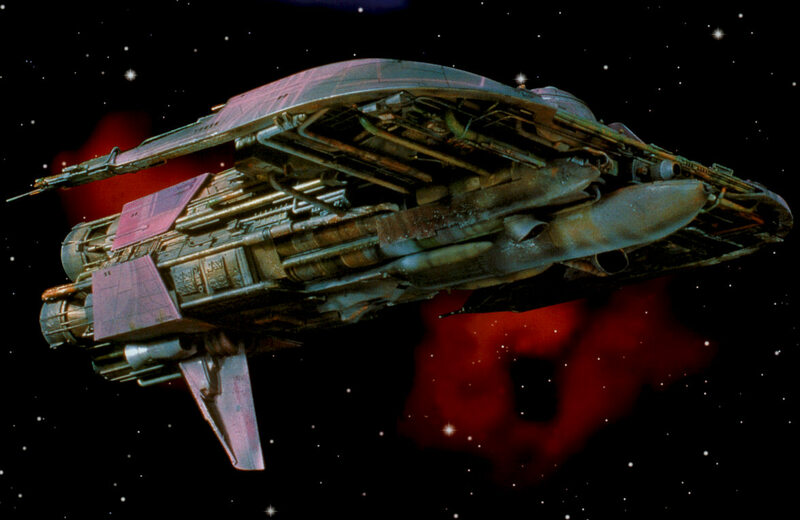 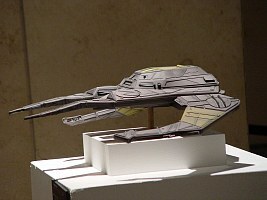 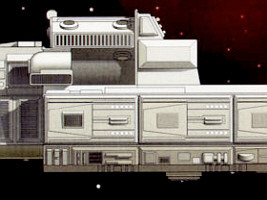 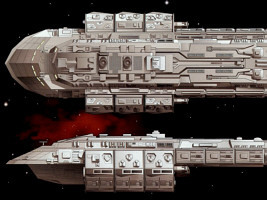 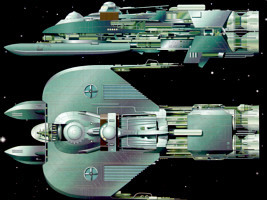 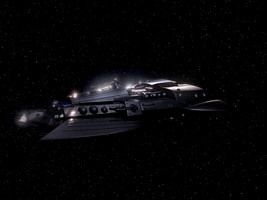 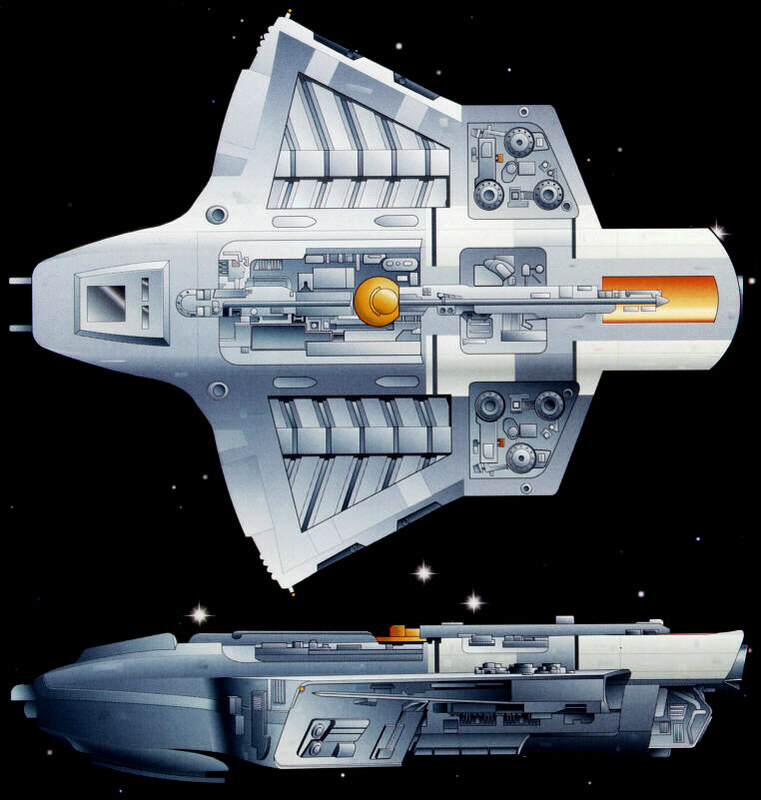 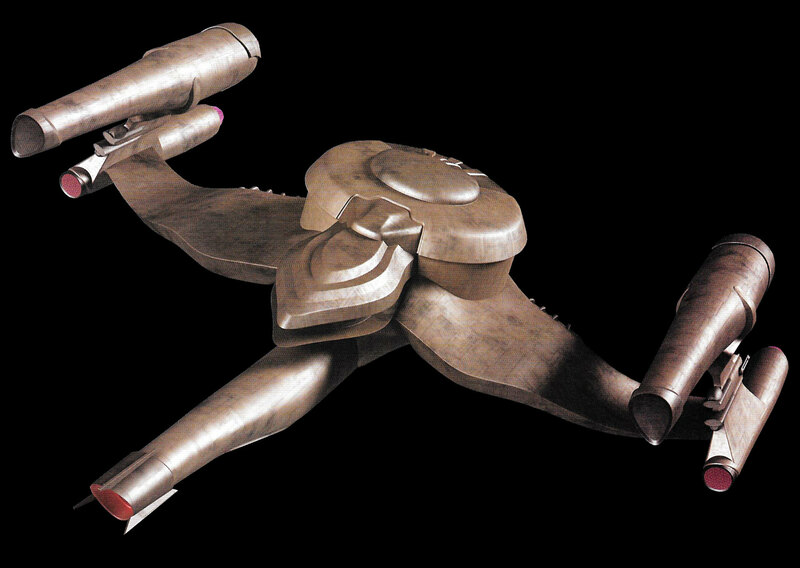 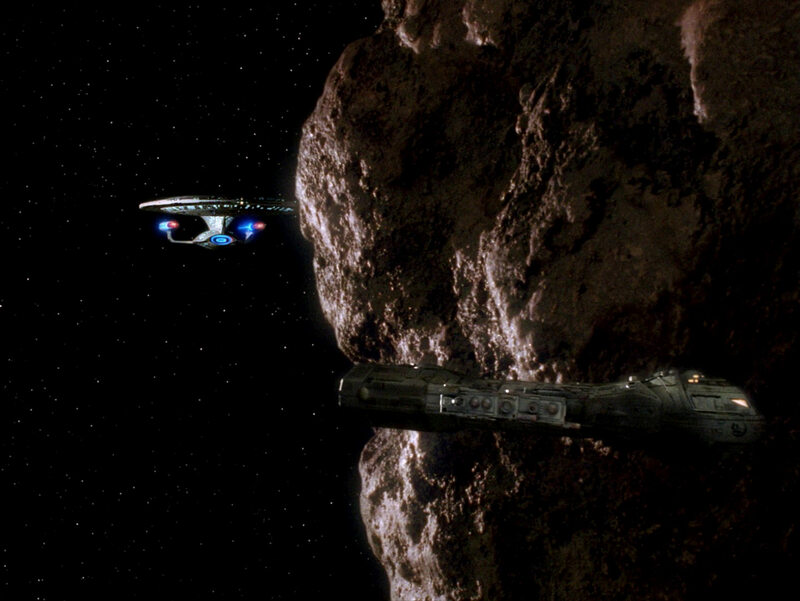 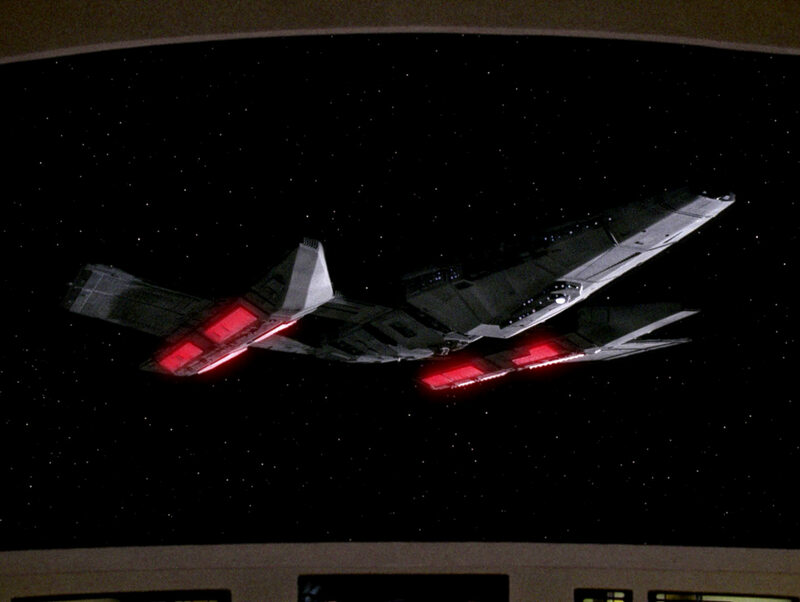 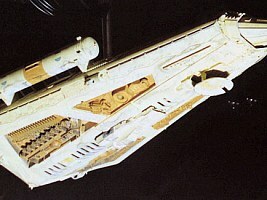 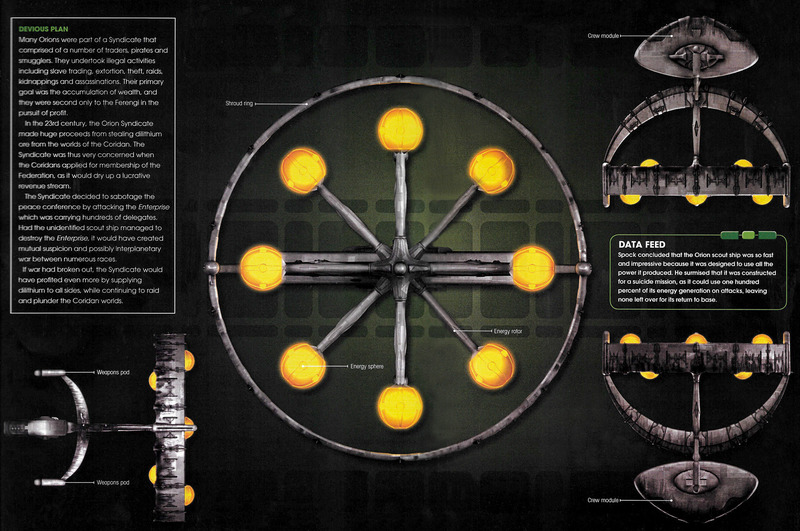 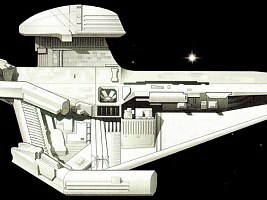 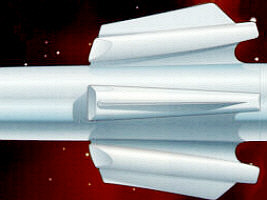 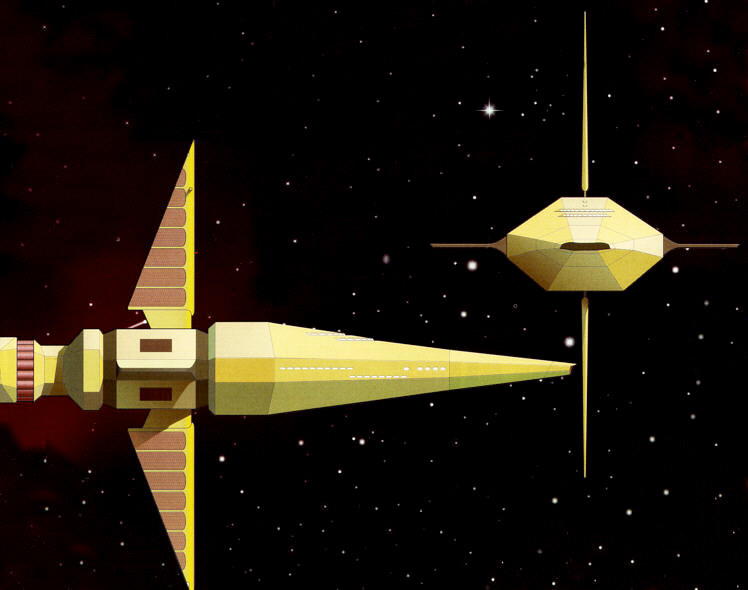 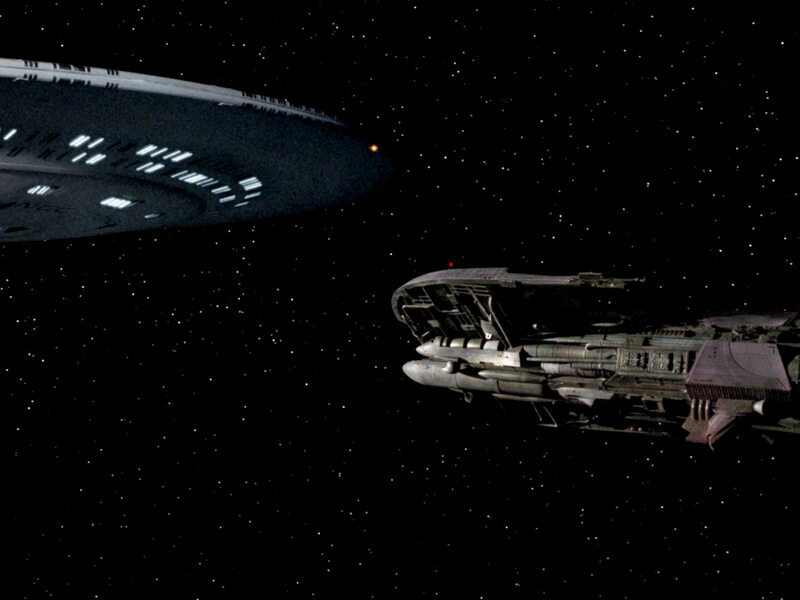 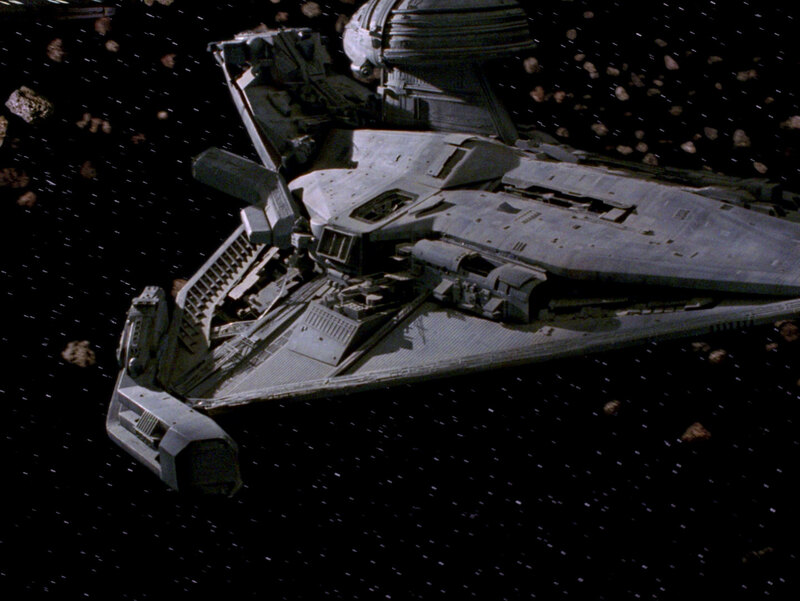 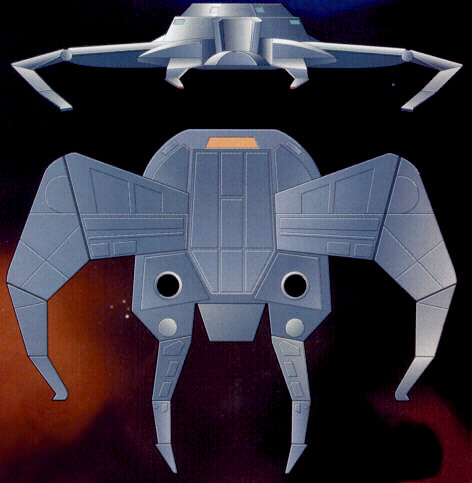 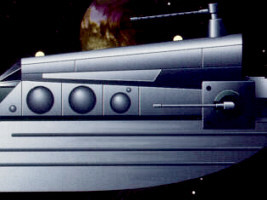 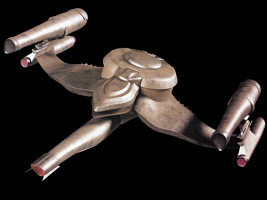 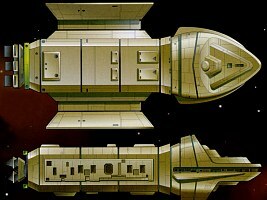 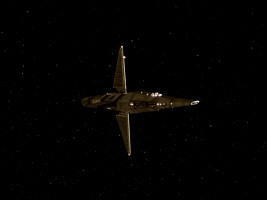 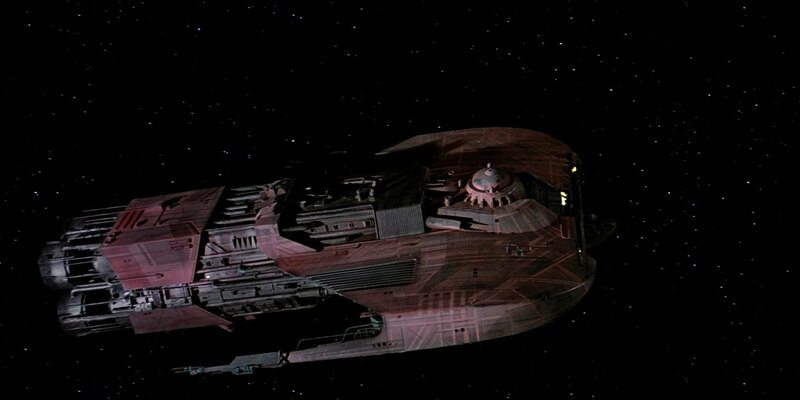 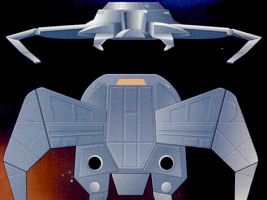 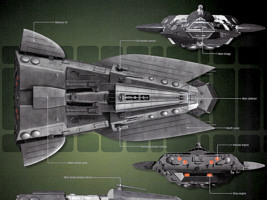 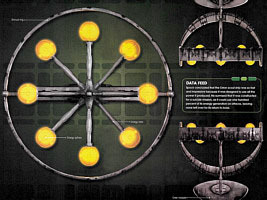 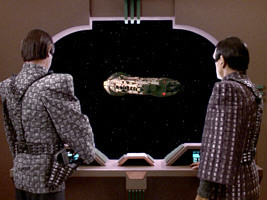 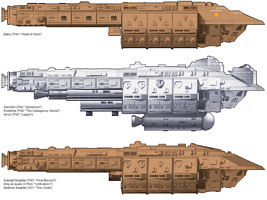 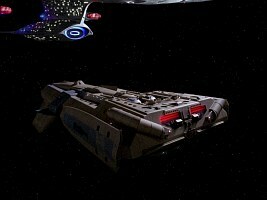 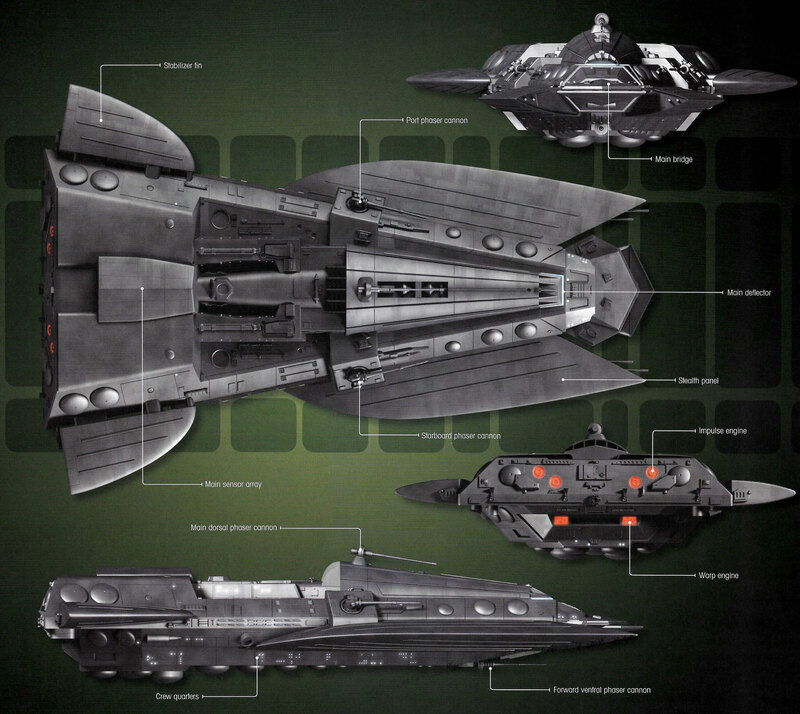 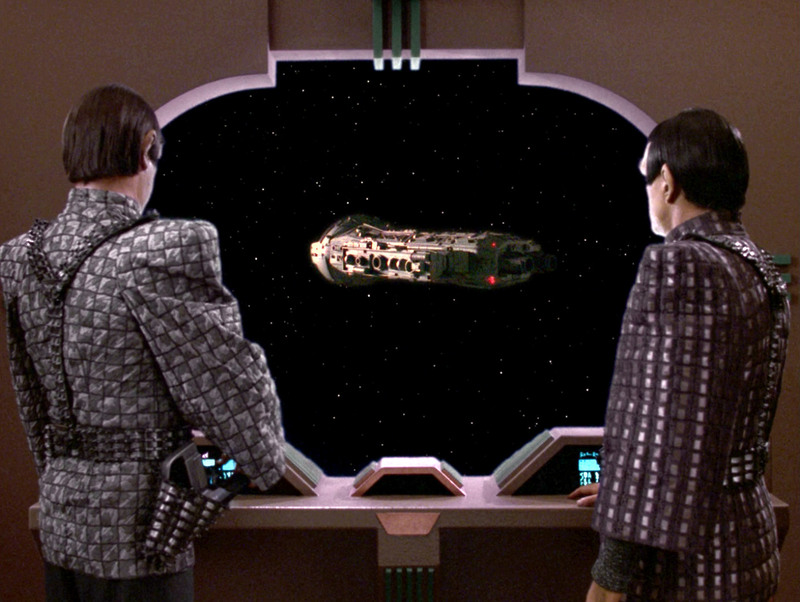 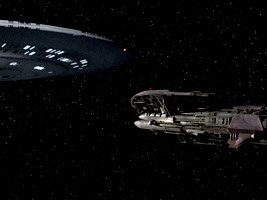 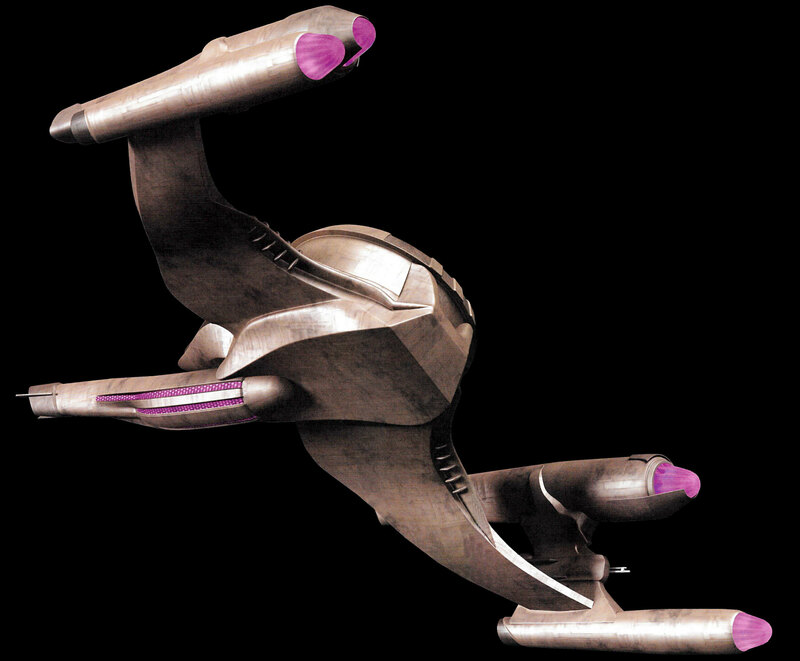 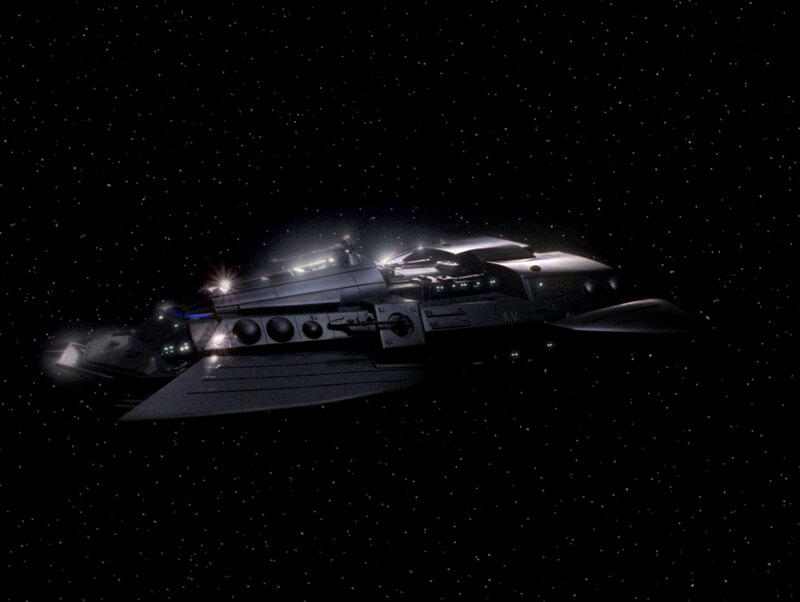 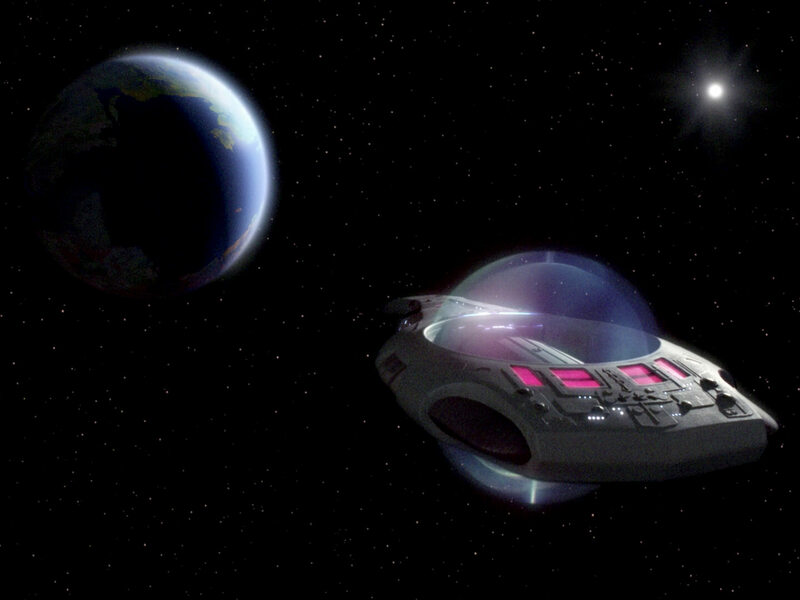 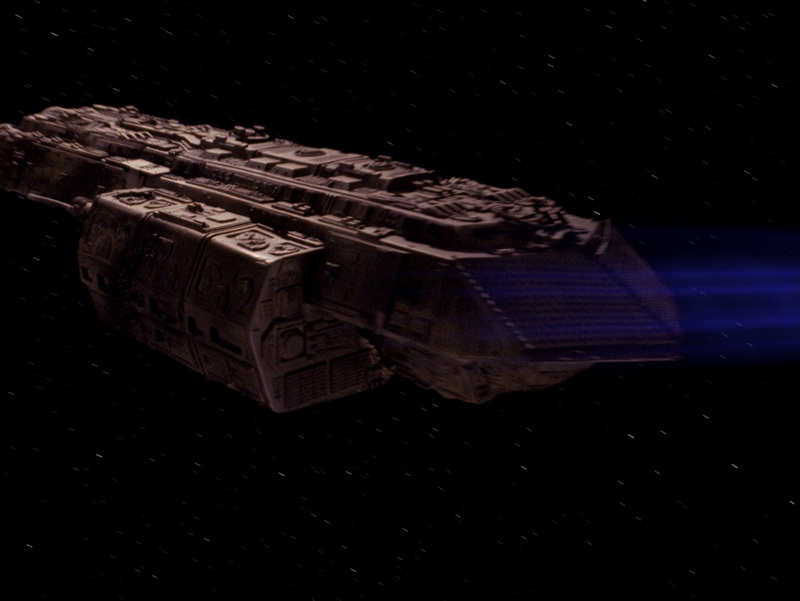 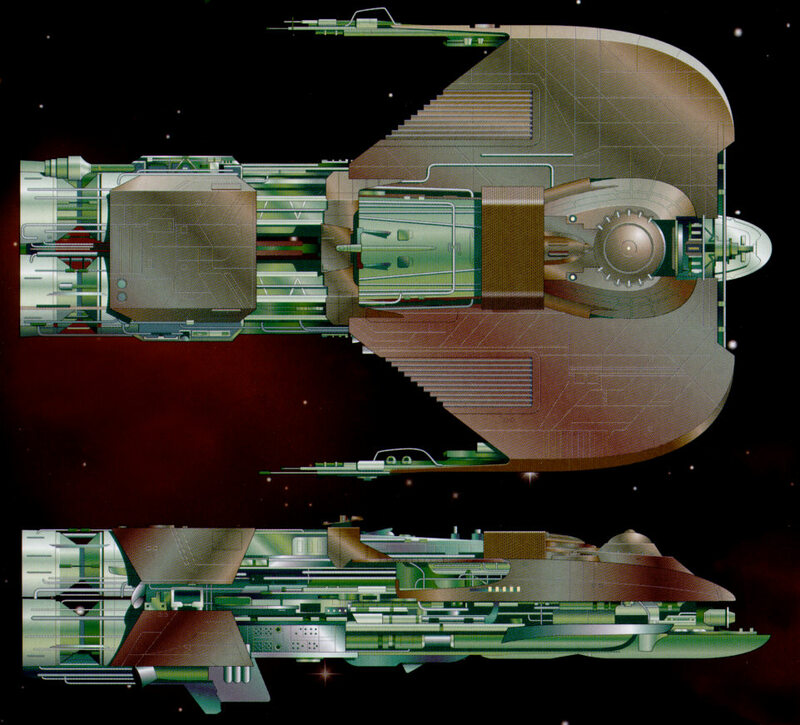 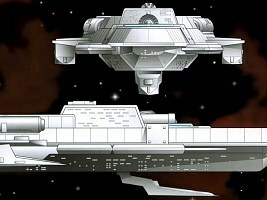 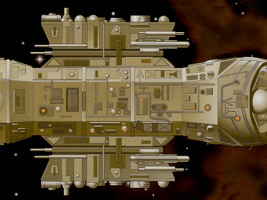 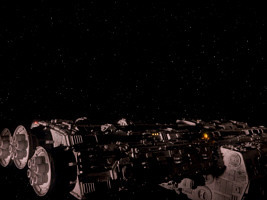 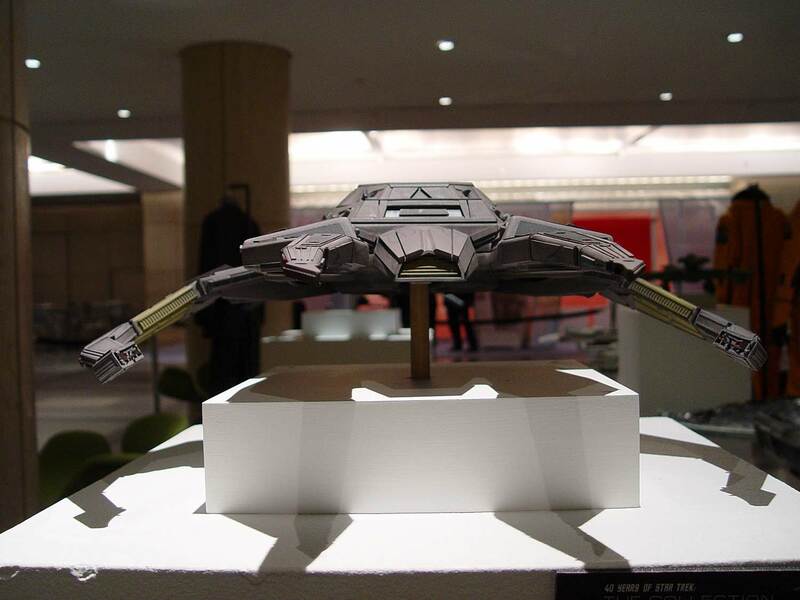 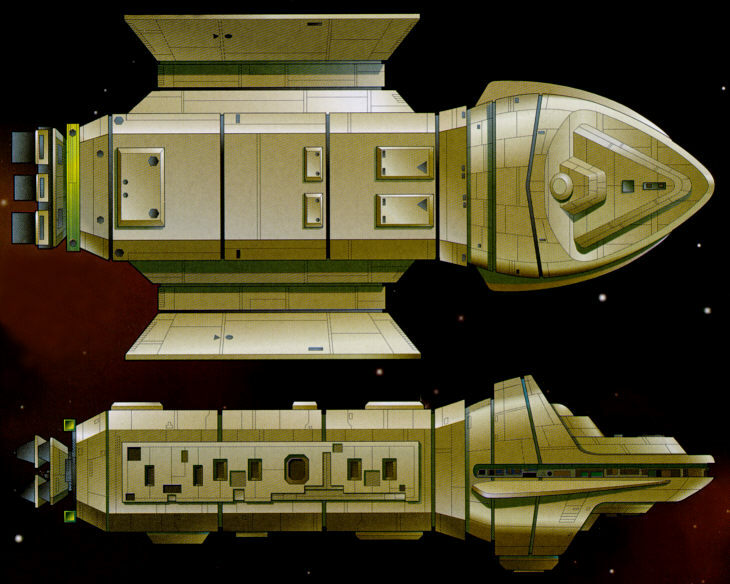 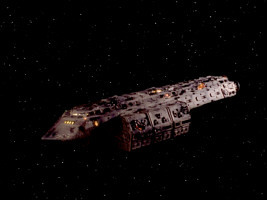 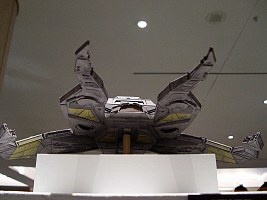 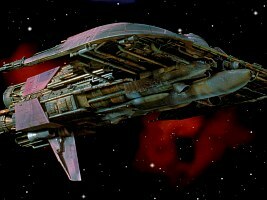 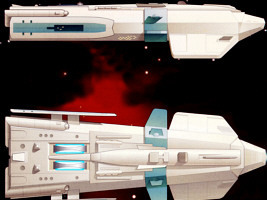 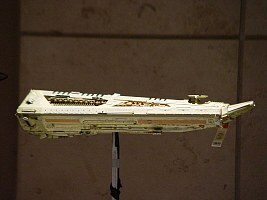 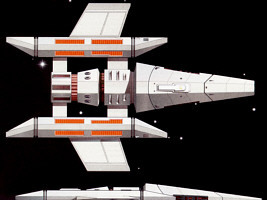 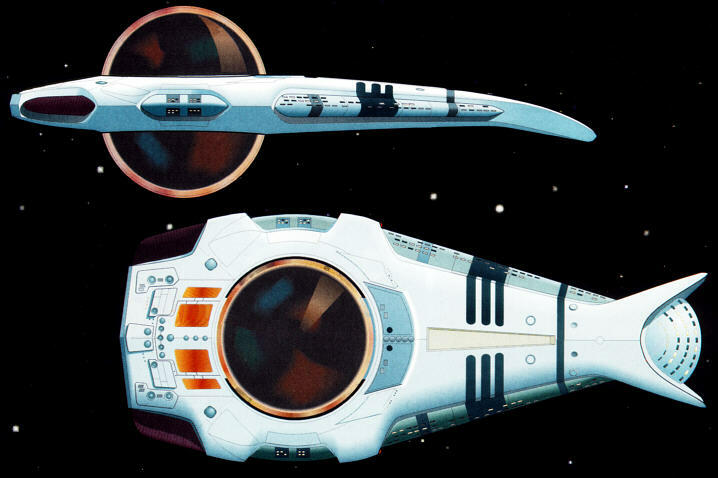 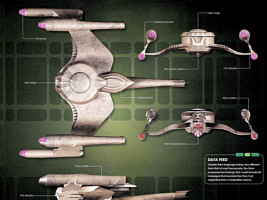 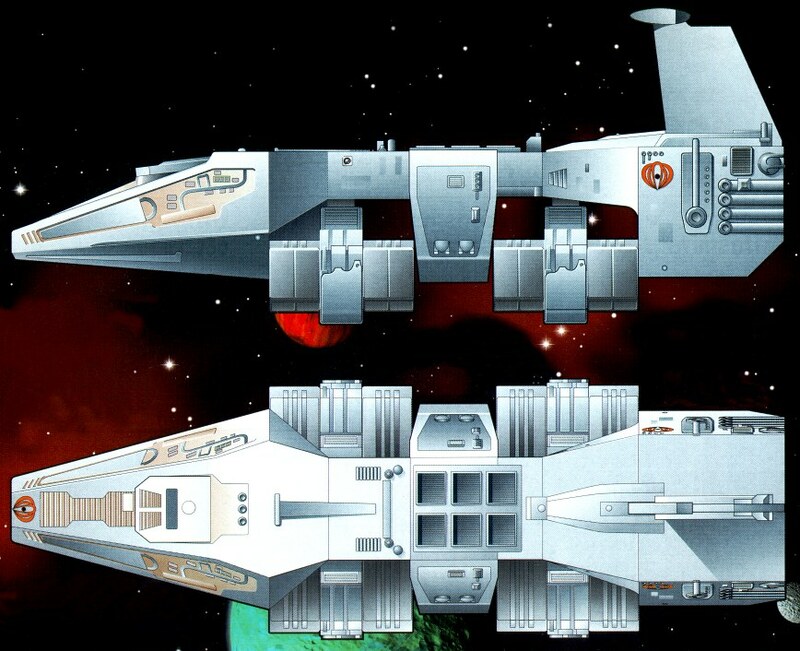 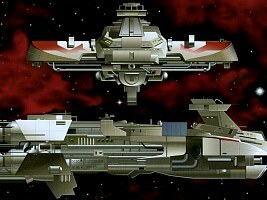 Merchantman in "Star Trek III"
Atlec ship in TNG: "The Outrageous Okona"
Sheliak ship in TNG: "The Ensigns of Command"
Mondor in TNG: "Samaritan Snare"
Freighter Batris in TNG: "Heart of Glory"
Erstwhile in TNG: "The Outrageous Okona"
Sublight freighter in TNG: "Final Mission"
Straleb patrol ship in TNG: "The Outrageous Okona"
Angosian transport ship in TNG: "The Hunted"
Corvallen freighter in TNG: "Face of the Enemy"
Husnock ship in TNG: "The Survivors"
Kivas Fajo's ship Jovis in TNG: "The Most Toys"
Smuggler ship in TNG: "Unification"
Tarellian ship in TNG: "Haven"
Promellian battlecruiser in TNG: "Booby Trap"
Talarian ship in TNG: "Suddenly Human"
Tamarian ship in TNG: "Darmok"
Jaheel's ship from DS9: "Babel"
Caution Many of the alien ship diagrams from the Fact Files are dreadfully inaccurate. 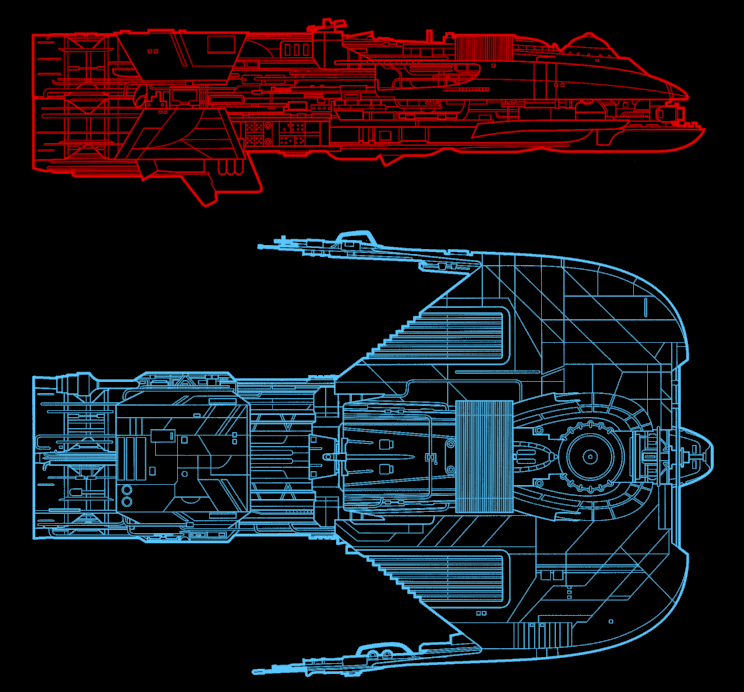 The basic shape and the most important details are usually correct, but they tend to confuse variants, and sometimes even the length/width proportions are wrong. 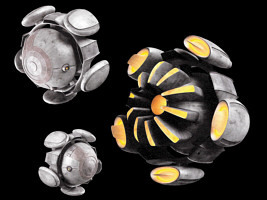 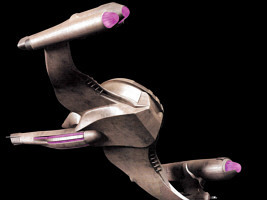 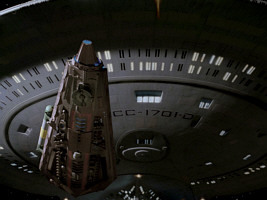 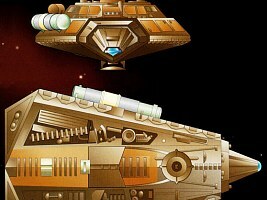 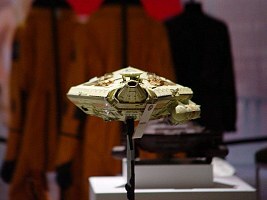 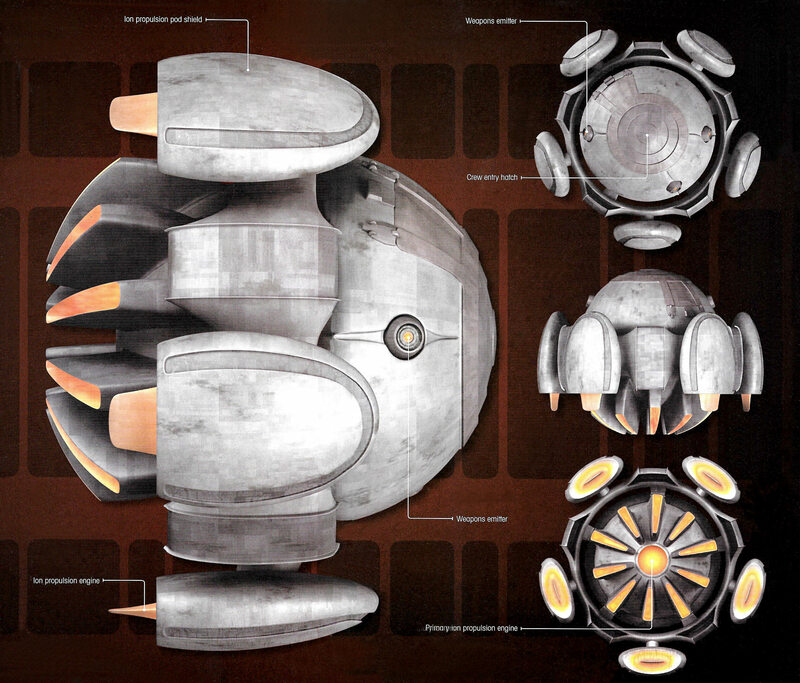 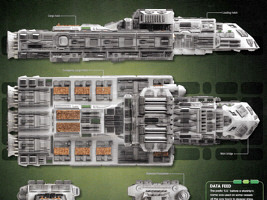 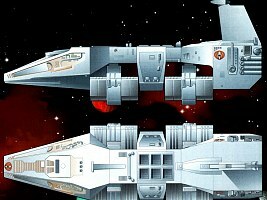 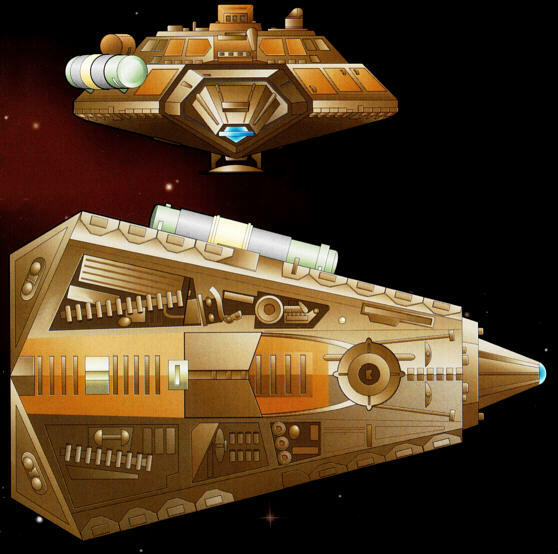 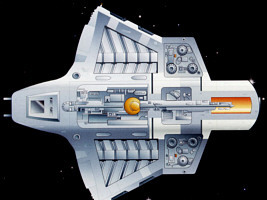 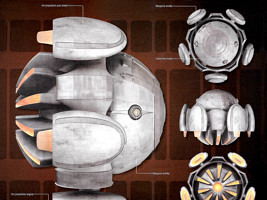 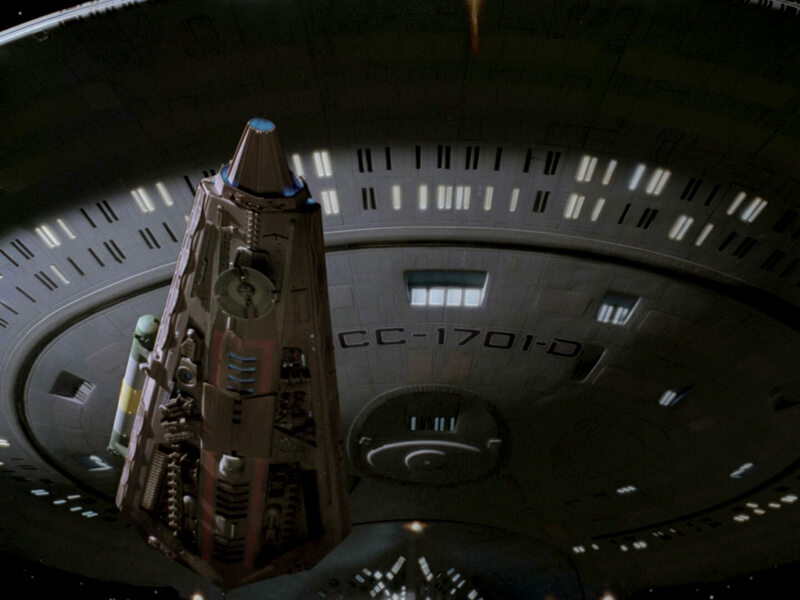 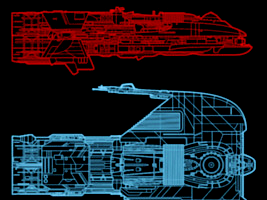 Please head over to the Starship Articles or follow the links below to see our much better reconstructions based on DVD/Blu-ray evidence.